January’s issue marked the turn of Southend council to put forward their views on Seaway and the High St and this was done by Cllr Courtenay, the deputy leader of the council & conservatives. The council also released papers for its January cabinet meeting which provide further financial insight into the Seaway deal. The council article lays claim to the Seaway cinema development as the key to turning around the fortunes of our High St. by bolstering it as a Leisure destination. Any business in the town will tell you removing the 2 hr minimum parking tariff and providing more parking spaces at cheaper rates would be key. I have no idea as to the retail, tourism or general level of business experience that is held within the council at the moment but their claims don’t stack up to me. 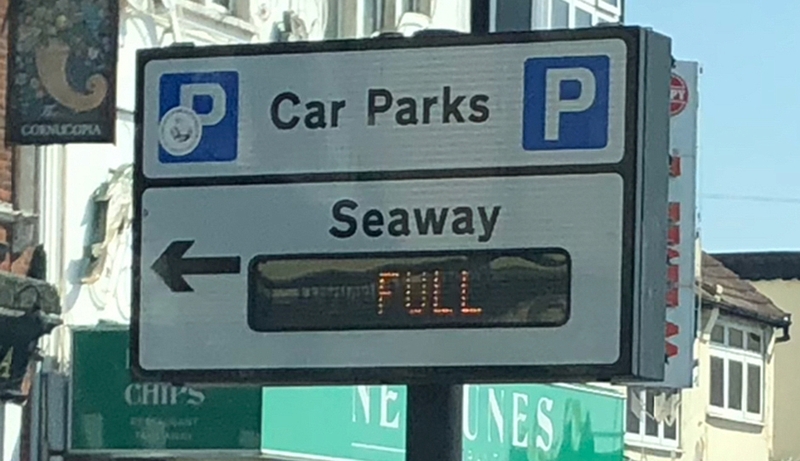 Seaway car park serves as the largest tourist car park for the town, with 661 spaces. It’s certainly not located on the High Street. Secondly the mix of cinema, restaurants and hotel is replicated at the top of the High St. by existing business such as the Odeon, Nandos as well as new businesses such as Molo Lounge and Revolution. It seem’s more logical to me that the council’s proposed cinema development on Seaway will kill off businesses at the top of the high street. Many of those customers using the Odeon, shops and surrounding restaurants etc would switch to the newer cinema development close to the seafront away from the high st.
Asset managers owning the Odeon & the Kursaal have already written to the council voicing concerns that the Odeon and bowling alley will likely close down. The BID canvassed its members with 61% of the businesses against the Seaway development, due to insufficient parking availability within the proposals. Remembering that the Festival Leisure Park has over 2000 parking spaces, the proposed development with only 555 spaces represents a critical threat to tourism and seafront businesses as tourists will not be able to park and town centre congestion will go through the roof. Perhaps the most concerning figure is the council’s valuation of the existing Seaway site at £3.8mn. The site comprises the 661 space car park (generating net £400k p/a), the Rossi site & 29 Herbert Grove that the council purchased for £1.75mn, & 1-3 Herbert Grove valued at £750k. No matter how many times I look at these figures, valuing the car park conservatively at £4.5mn, the site should value up at £7mn, far higher than the council’s figure of £3.8mn. In summary not only will this development harm the seafront, it risks putting the final nail into the high street’s coffin. In my opinion SBC is selling off the tax payers assets at a rate far below market value, remember they sold the lease off for a premium of £1! Are they acting as Turncoats with respect to all the existing businesses and investors both on the high street and on the seafront, with senior council officers seemingly happy for these existing businesses to die off as ‘collateral damage’? I am also deeply concerned that as far as I know, not a single elected councillor has been given the contract between SBC and Turnstone Estates to review. How can councillors make decisions when information is being withheld? Does the contract contain information officers do not want elected councillors to see? As usual I expect SBC will ‘push on’ with this scheme despite no consultation, without a feasibility study and without having carried out an impact assessment on its effects on either the high street or the seafront. If you feel passionate about our High St. and Seafront as I do, please ask your local councillors if they are supporting this development? "I personally couldn't care less, from a pure financial point of view, what the gross revenue is for Seaways carpark. I could care very much how much net profit we make from the car park. And quoting figures that include VAT is rather pointless." Mr Courtenay said £121,438 VAT and costs of £155,022 had to be deducted from the £607,192 the council receives in revenue from the busy car park, leaving £331,000 net income. He added costs included £94,000 business rates, which the council has to give to Government, and a £2,500BID levy but excluded the cost of parking contactors Apcoa.